Tips on how to hire a mover (or move yourself), pack your belongings properly, and move your home with relative ease. Whether your last move was across the country or across the street, it probably ended with two words: “Never again!” But you don’t always have the luxury of staying in the same place forever. Sooner or later, you find yourself surrounded by cardboard boxes and packing tape again. Don’t despair. Of course, there is more than one way to move. Depending on the size of your home, the distance of the move, your budget, and the amount of time you have to get yourself situated, you might choose to rent a truck and move yourself, hire a mover to do the job, or use a “you pack; we drive” service. Here’s the lowdown on each option. Do it yourself. Are you comfortable driving a big truck on busy highways and narrow streets? Do you live in a fairly small home and have a few strong, very good friends you can recruit to help you? If so, moving yourself might be a good option, and an economical one, since you’re not paying a mover to load, drive, and unload your stuff. It’s also the option that gives you the most control. Just be aware of hidden costs, such as insurance for the rental truck (your auto policy probably doesn’t cover this, and neither will the credit card you rent the truck with), gas, and the rental or purchase of special equipment you’ll need, like dollies and quilted furniture covers. U-Haul and Budget are the biggest and best-known truck-rental firms. Both have different-size trucks for long-distance and local moves. Their largest trucks (26 feet for U-Haul, 24 feet for Budget) are big enough to move six to eight furnished rooms (including up to four bedrooms). Be careful not to underestimate all that you have to move, though. Extra trips might require more money―for the truck rental, mileage, and gas (and refreshments for your friends). To check rates, reserve equipment, and find rental locations near you, go to uhaul.com or budgettruck.com. You might get better rates if you rent your truck midweek and midmonth and reserve it as far in advance as possible (as soon as you have an exact date for your move). See the Moving Checklist or download a printable copy for a detailed moving timeline. You pack and load; they drive. Several nationwide companies, such as ABF U-Pack Moving and Broadway Express, offer what they call self-move service. ABF U-Pack will move you only if you’re going out of state and more than 500 miles. Broadway Express will move you any distance, but shorter moves are relatively expensive because certain minimum charges apply. Both services deliver a trailer or a van to your house, where you load it. They then provide a professional driver, who takes your things to your new home, where you unload them. This option saves you the hassle of driving a truck, and it is less expensive than using a full-service mover. You share the space on the truck with other customers (if you don’t need it all) and pay for only the space you use. Both companies have calculators on their websites to estimate the costs (see Web Resources on next page). You can get an initial quote by phone, fax, or e-mail, but be aware that actual charges will be higher if you exceed your estimated load. Hiring a full-service mover. If you can’t afford to spend a lot of time getting from here to there, you’re moving a long distance, or you have a lot of stuff, this is your best bet. Good professional movers have the experience and equipment to move you quickly while avoiding damage to your property. “The first thing we do is protect the property by putting down floor runners, covering railings and doors, and putting down floorboard if we’re moving heavy appliances,” explains Jon Hollander, an owner of Hollander Storage & Moving Company, based outside of Chicago. Many movers will even pack everything for you ― a convenience that can be worth the additional cost (20 to 30 percent of the price of your move), especially if you have limited time. There are bad moving companies. Of the more than 1,100 industries that the Better Business Bureau keeps tabs on, the moving industry ranked 14th in consumer complaints in 2003. So be sure to carefully check out anyone you’re considering. Find out what you can expect to pay for a “you pack and load; they drive” move with a moving calculator. Get help determining how many boxes you’ll need for your move. Research the business practices of the movers you’re considering. When planning your move, don’t forget the packing supplies. You can expect to spend around $250 or more on what’s needed to move the belongings of a couple or a small family. And keep in mind, it’s always better to get too many materials than too few. You don’t need last-minute box-gathering trips adding to the stress of your move. Here’s a list of what to have on hand. Regular boxes. If you’re moving good stuff―and why would you pay to move bad stuff?―you should use good boxes. If you have used boxes and they’re in decent shape (not bent, torn, or damp), go ahead and use those. Hollander, however, recommends that you buy new boxes, made of strong corrugated cardboard (with an edge-crush test rating of at least 32 pounds per inch printed on the box). They cost from $1 to $5 each, depending on the size, but are less expensive when purchased in bulk. Whether you choose old or new boxes, make sure you have a variety of sizes to accommodate the different items you need to move. So how many boxes do you need? “That’s like asking, ‘How long is a piece of string?’ ” Hollander says. As a rule of thumb, you should count on using at least 100 boxes for a sparsely furnished three-bedroom home, says Neil Vansant of Atlantic Relocation Services, a full-service mover in Atlanta that specializes in corporate moves. Specialized boxes. For dishes and other fragile or heavy items, make sure to use “dish barrels,” which cost between $5 and $7 and are made of double-walled cardboard. 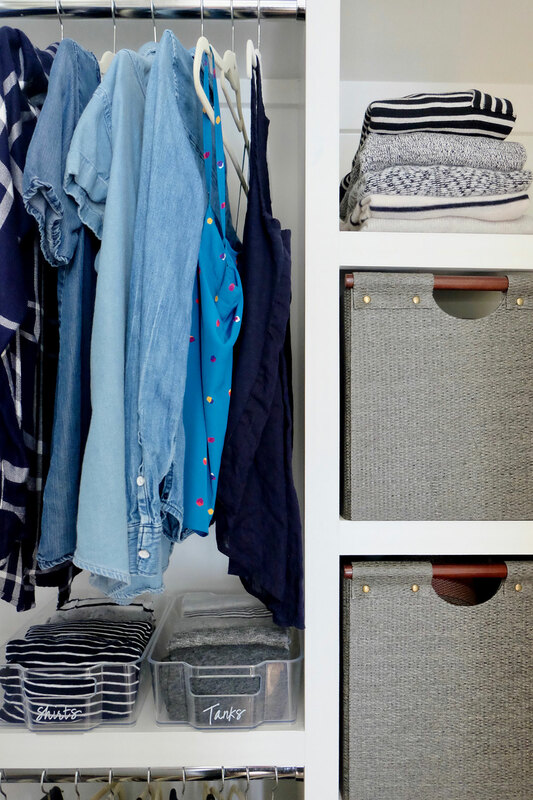 Wardrobe boxes, with a metal bar for hanging clothes, greatly simplify the packing and unpacking. Some movers may supply you with free wardrobe boxes for your move, which they’ll collect once you unpack them―make sure to ask before you place your box order. Expect to pay $7 to $15 each, depending on the size, if you have to buy them. Long flat-frame boxes are ideal for protecting most large pieces of art and mirrors. These, too, may be provided by movers. If you’re moving yourself, you can purchase them from truck-rental companies. Packing paper. This is a professional mover’s secret weapon. Sold in 10- and 25-pound packages, packing paper (unprinted newsprint) is the most economical and versatile material for protecting nearly everything you’re moving. Use it for wrapping fragile items, and crumple it up for padding. “People think we use way too much paper,” Vansant says, “but it really creates the protection you need.” And unlike bubble wrap, it can be recycled. Many moving-supply companies sell specialized packing accessories―such as little foam bags and cardboard “cell kits” to protect glassware and other fragile items―but Vansant stresses that almost everything can be packed with simple packing paper. Because it can stain, regular newspaper should be used only for extra padding around already wrapped items. For an average seven- to eight-room move, professional movers use as much as 120 pounds of packing paper. Bubble wrap. It is expensive compared with packing paper but comes in handy to protect artwork framed behind glass and extremely fragile china and glassware, which should be wrapped in bubble wrap and then in packing paper. Box cutters. They will help make unpacking a breeze. Permanent markers. Get thick ones to mark your boxes for easy identification. Label boxes on the sides, not the tops, which may be covered by other boxes. Mattress bags and furniture pads. If you’ve hired a full-service moving company, it will supply everything needed to protect your furniture as part of your total move cost. If you’re doing it yourself, you’ll have to buy the bags for $3 to $6 and rent the pads for about $10 per dozen. Both are available from the leading truck-rental companies. Dollies and hand carts. If you’re moving yourself, your back will thank you for using wheels to move heavy loads. Dollies and hand carts can be rented for about $10 a day wherever you get your truck. You can also buy furniture slides there. These go beneath the feet of heavy items, such as a couch, allowing you to easily slide them across the floor without damaging it. Ready to get started? Use these Moving Packing Tips.